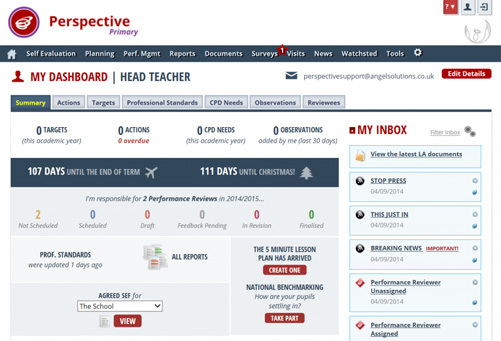 An online application for educational leaders to improve processes and impact the quality of the education they provide. The SEF is clearly structured around the most recent Ofsted framework and allows the School Improvement Plan to emerge logically from the outcomes of the SEF. 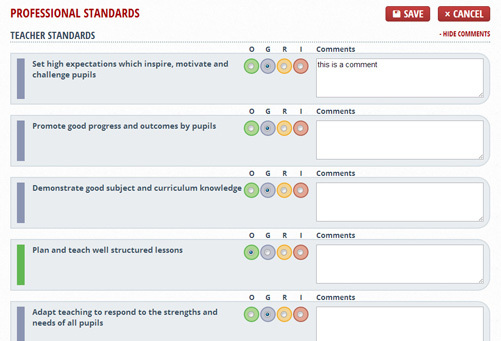 Rapid but robust self evaluation against the new Common Inspection Framework. Secure, centralised storage for your documents & evidence. Link them directly to a review area. Create targets to impact on a specific area. Assigned to an individual, tracked & linked to an overall picture. 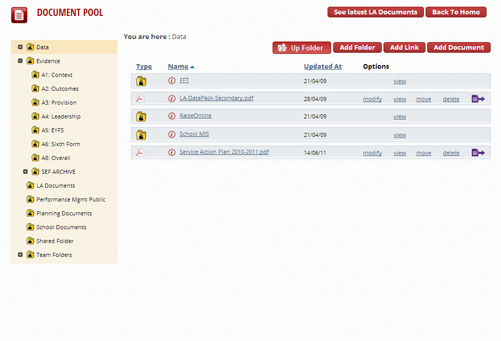 Issued and completed online with results visible in a live report with graphs and charts. 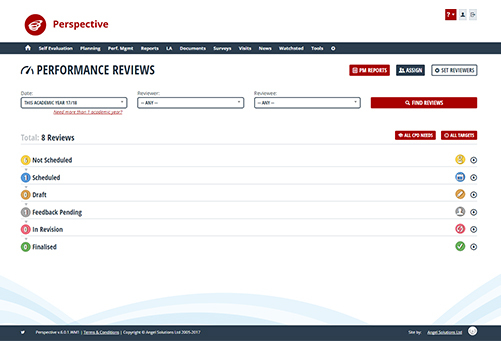 Everything you need for a review/appraisal. Make decisions about Performance Related Pay. 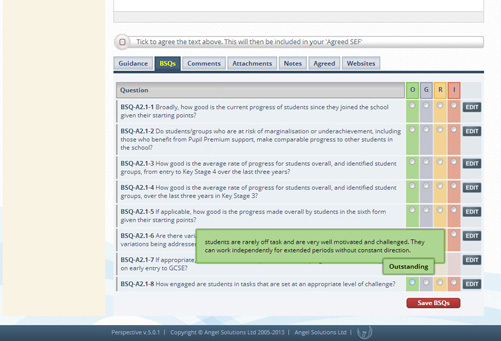 Staff self assess against customisable professional standards, identifying strengths and weakness. 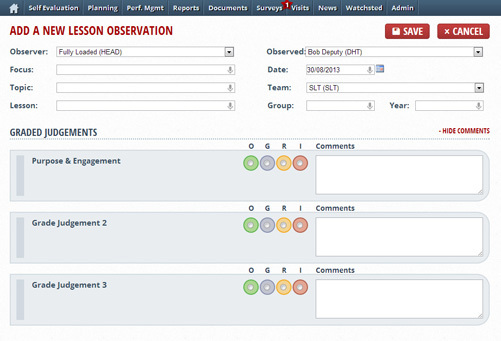 Your own templates to record observations. 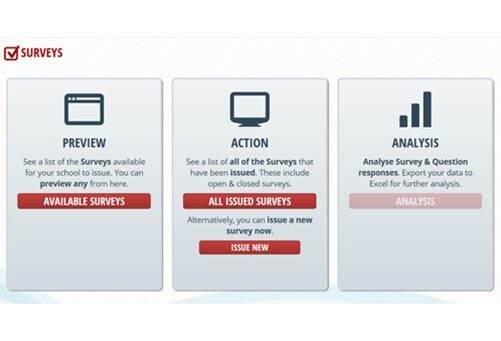 Analyse the results to identify priorities. 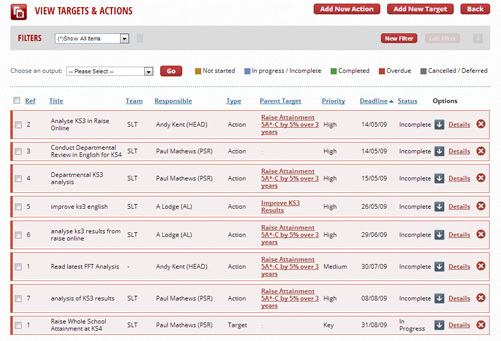 Staff can see their own actions, targets, observations and CPD/training courses undertaken. 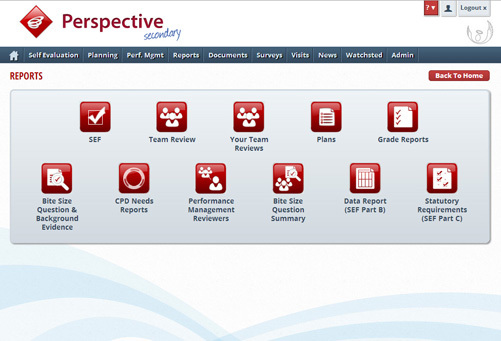 Development plans, SEFs, CPD logs, observations analysis, professional standards skills maps & more. Personalised news: announcements, stories and articles from multiple sources for easy reading. Visualising the latest Ofsted inspections from all over the country. Maps, profiles, trends & analysis.